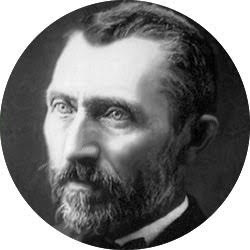 Vincent Van, Born in 1853, Vincent Van Gogh is one of the most influential painters in modern history and is accredited with painting some of the most notable works of art in all time. Throughout his life, Van Gogh created 2,100 various pieces of art, which included 860 oil paintings, most of which were painted within the last 2 years of his life. However, during Van Gogh’s brief 37 years of existence, prior to committing suicide in 1890, he had only sold a total of one painting. Yes, just one painting. For the most part, Van Gogh considered himself a failure and didn’t feel that life was worth living. That also could be because much of his life was lived steeped in poverty and battling mental illnesses. While Van Gogh suffered from psychosis and delusional states, his bold impressionist work and dramatic brushstrokes have resonated with the art community. While he only sold one piece of art prior to his death, he had only begun the bulk of his oil paintings just two years prior to committing suicide. Still, it’s clear that Van Gogh was a true genius, with an unending imagination and talent to transform the pictures in his mind into wild landscapes and portraits filled with illustrative brushstrokes and bold impressionistic vibrancy.